Most of us know to double check our social media pages for traces of bad behaviour that might get us in trouble at work. However, insurance firms and credit companies use social media sites and search engine results to determine our credit ratings, insurance claims and insurance premiums. Moreover, in recent years these companies have been using consumer-marketing information, gathered by tracking cookies and data mining, to generate customer profiles. Here we provide an explanation of how insurance and credit companies use your online data and what you can do to ensure that you look your best online. Insurance companies use social media to help see whether a claim is fraudulent, and innocent information posted on your page could very well be misconstrued. You might be a genuine claimant, but social media can be taken out of context and twisted to create a very different picture. cigarette in your hand, the chances are the insurance company won’t believe you when you tick the ‘non-smoker’ box. Look through your photos and written posts on your social media pages – do they accurately represent you? Could your rant about the car that almost hit you on the motorway three months prior affect your current car insurance claim? Think before you post, and delete carefully. It’s common place to let friends and family know that you are on holiday or out enjoying a shopping trip in the city, but if you are robbed whilst out of the house after publicly announcing on the internet that you are out, you might find that your home insurance claim is denied. In one study, 78% of 50 convicted burglars admitted that they actively used social media to target houses.2 Constantly letting burglars know your whereabouts could affect your insurance pay-off as the company may see it as your fault that you were robbed. Remember, even your photos can reveal your location so make sure that you remove the location data (geotag) before sharing. check that the potential borrower’s job listed on their application is the same as the one mentioned online. Character profiling also includes your conversations, what pages and groups you join and comment on, and what your interests are. Both credit and insurance companies use these details to build a picture of your class positioning and financial circumstances, as well as to check whether you are telling the truth: do you have pets; any admissions of health problems; is your relationship status accurate? In 2012, Germany’s largest credit company was discovered to be using social media and even Google Street View to identify and assess the insurance risks associated with each prospect along with determining “the current opinions of a person.”5 Openly admitting that you are an adrenaline junky or that you are living it up smoking and drinking are sure ways to increase your insurance premiums. Even constantly commenting about a particular health condition, and liking and supporting social media pages relating to it, could work against you. 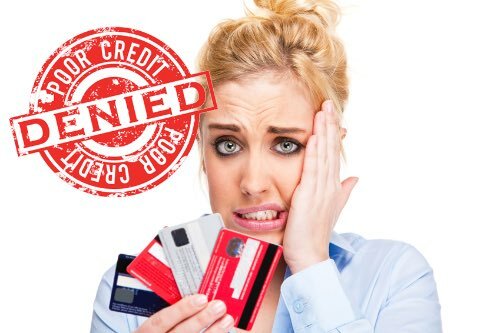 Equally, having this kind of ‘risky’ or seemingly unreliable character might impact on your credit score. Cookies are files downloaded on your browser or hard drive when you visit a website to “see how you interact with the website that sets them”.6 Cookies help websites remember you, recalling useful information such as your login details, when you visited and what your preferences are. However, they can also track your web browsing habits, what articles you read, what items you like to buy online, and what videos you watch. Whilst online businesses such as Facebook and Google use this data to target you with advertisements, insurance and credit companies can use this information to determine your insurance cover and creditworthiness. You might think that you are anonymous because your IP address is not directly related to your name. However, if you type in your name or other identifiable information (for instance, by filling out a form or shopping online), it would be easy for the third-party data mining company to link your IP address to your name. Insurance providers Aviva, AIG and Prudential were discovered to be using these consumer-tracking techniques in order to create data profiles to determine factors such as a person’s risk for illnesses, financial status and education.8 This kind of data mining can also be conducted to inform someone’s credit rating. For instance, an individual who frequently visits high-brow finance and business websites, applies for a platinum credit card and buys sports equipment on Amazon is more likely to receive a favourable policy than someone who orders take-out online and researches pay-day loans. Make sure that your social media accounts match – ensure that all information posted online regarding your work and relationship status is up to date. You might have excitedly posted your latest job promotion on Facebook but forgotten to update your Linkedin profile, causing an outside company to question your job status. Be wary of admitting ‘risky’ behaviours – if your profile portrays you as a high-risk adrenaline junky or as an unreliable worker, then there is a good chance that that is how these companies will see you. Your public appearance online should be as professional as you would want it to be in the workplace. Censor your photos – Look over your public photos and consider what they say about you. Would you be happy having your boss or an insurance company looking at them? De-tag, delete and report potentially damaging images. Increase your privacy settings – ensure that you only share information with friends and family by switching all of your social media sites to “private”. Hide your friend list on Facebook. Educate yourself about geotagging – most people overlook the dangers of letting everyone know their location through status updates, check-ins and photos. Fortunately, there is plenty of information out there about how we can protect ourselves. Delete cookies – frequently deleting cookies on your computer is vital for ensuring that you get rid of any nasty trackers. Do Not Track – this is not a fool-proof solution, but it can help stop certain websites from tracking you. By enabling Do Not Track you send your tracking preferences to websites that you visit, but it is completely voluntary as to whether or not those websites honour your wishes. Although it can be troubling having companies using your data to determine such crucial aspects of our lives, remember that we can always use this to our advantage. You can utilise your social media to promote yourself as an ideal candidate – talk up your job description on LinkedIn, and Tweet respected news coverage. Moreover, taking the time to protect your privacy online will go a long way in making you come across as a reliable and well-informed individual.